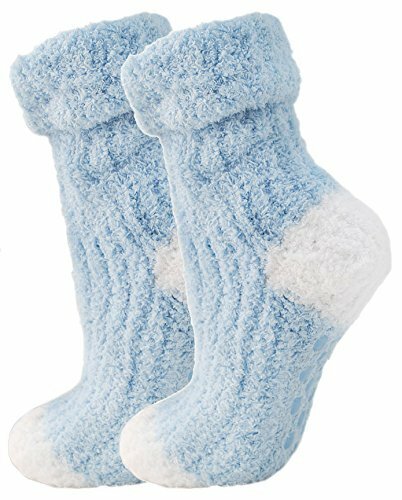 These Soft Fluffy Light Blue, Non Slip Bed Socks /Slippers , are really really soft , they feel like thats blanket or teddy you would get a baby they are so soft and warm. 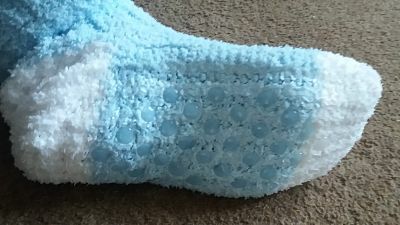 they have little grips undernesth to stop you slipping , i don't wear slippers anymore as these are so comfy . they are pefect for me to wear inside my wellies too. I am a size 5 and my daughter is a size 2 , they fit both of us and even my husband tried them on as my daughter and i were making such a fuss over them saying how nice they are and he's a size 8 . 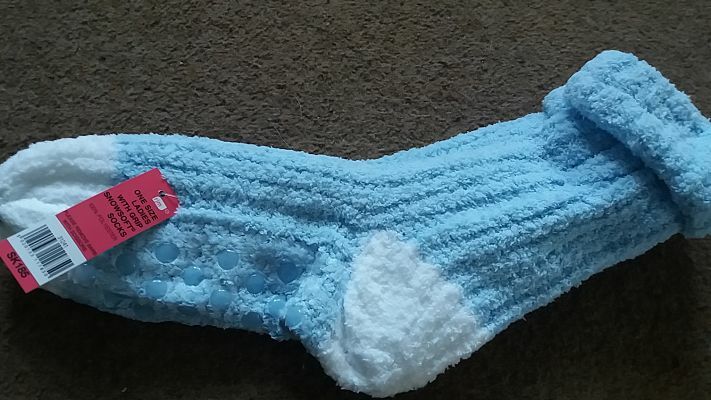 I have ordered some for my mum whos in hospital to keep her extra warm and stop her slipping on the hospital floors.